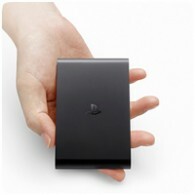 The days of the PlayStation TV are numbered, as Sony stops shipping the device in Japan and has halted production of the device. Also known as the PlayStation Vita TV in Japan, the device has been around for just a little over 2 years, and allowed gamers to play a subset of PS Vita games on a large screen. The device hasn’t really caught on, especially only some PS Vita games could be played on it – only those that didn’t require touch-screen controls. It is, however, a handy device to lets you Remote Play on the PS4 from a different room, since it’s compatible with both the DualShock 3 and DualShock 4 controllers. While manufacturing has discontinued, the device is still available at various retailers until stock is depleted. At time of writing, Amazon still has plenty of devices available.